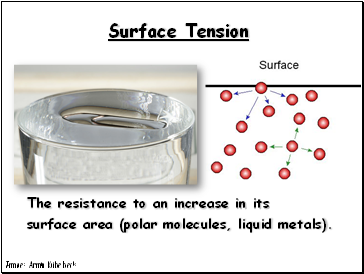 surface area (polar molecules, liquid metals). 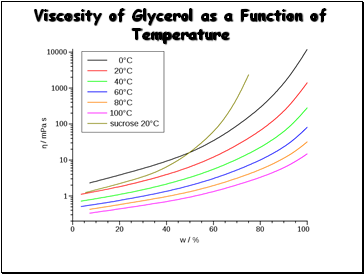 Spontaneous rising of a liquid in a narrow tube. 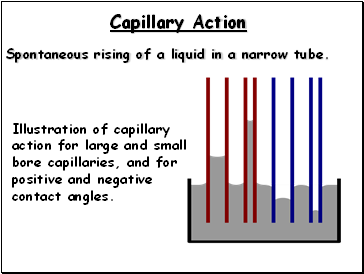 Illustration of capillary action for large and small bore capillaries, and for positive and negative contact angles. 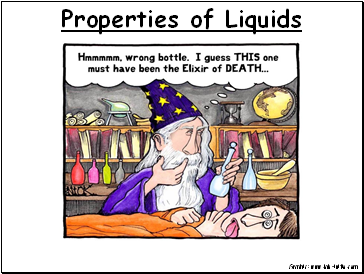 Liquids are fluids – they FLOW. 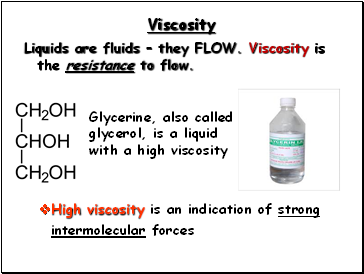 Viscosity is the resistance to flow.